is designed to facilitate Roof Mounting ROHN H50, H40, H30, H20 Channel Master 1620, 1630, 1640, 1650, 1820, 1830, 1840, 1850 Telescopic Push Up Antenna Masts. The Bottom of Mast Inserts into the Hinged Clamp, Adjustable for Antenna Masts up to 2.5 inches in Diameter. Bonding should be made by affixment to Mast. 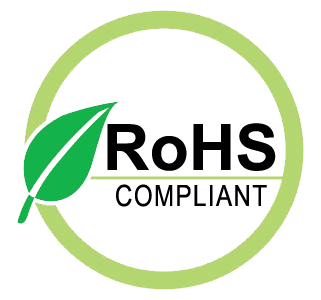 Consult NEC and Applicable Local Code for further guidance. As with all Masts, Guy wire support and Grounding are Critical to Antenna Survival. 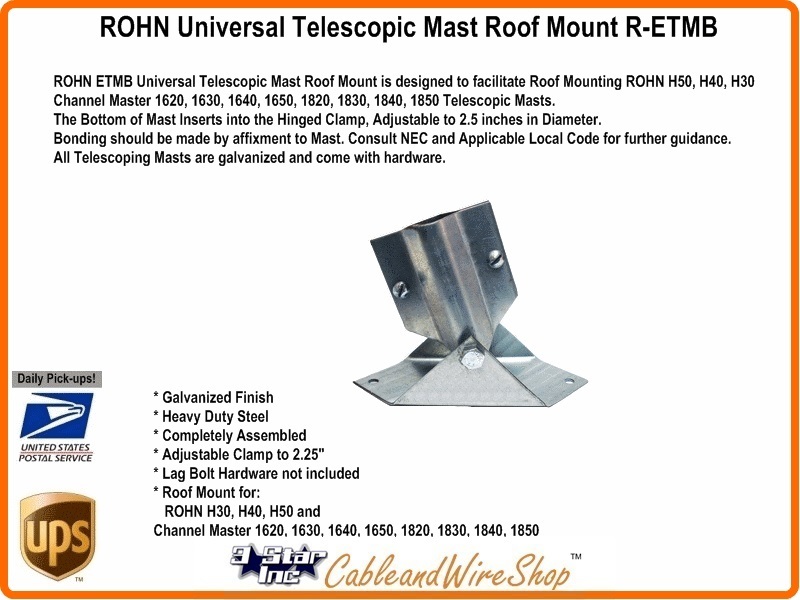 NoteThis Hinged Roof Mount for Telescopic Push-up Antenna Masts can also be used to help roof mount regular 5 foot by 1.25" Diameter masts singular or Multiple Swaged segments. One piece sections of 1.5" Diameter antenna masts of varying lengths can be used with this mount. As with all Masts, Guy wire support and Grounding are Critical to Antenna Survival.